Coin grading is at best an art and at worst an opinion, but very little is more important in determining value, save for demand and rarity. That’s why people spend years learning to properly grade and evaluate coins. Over time, they develop a familarity with coins and series and get a true feeling for what “looks right”. That’s how it is generally described, as “having an eye” for grading. The visual aspect of grading is something that is generally not available in books because although it can be described in facts, facts don’t speak to our eyes. Various books have been published over time showing photographs of coins and giving examples of a coin that’s “typical for the grade”. For a while that was about as close as you could get in terms of visual description. Beth Deisher and Coin World have now given you something that is in my opinion, one step better. Coin World’s Making The Grade, now in it’s third edition, shows you vivid color pictures of every type coin in virtually every grade, both circulated and uncirculated. The coin grading was done by Michael Fahey of ANACS and each photograph has been specifically selected for the book. Together they provide a cornucopia of United States coins illustrated in rich color photographs that you can feast your eyes on. You can see what a coin typical of a given grade should look like. It would take hours of walking a major show and hours more of careful study to get the same visual and viceral exposure to coins that this book provides. In fact, I would speculate that most shows wouldn’t have many of the coins illustrated in this book in the conditions described. If that were the extent of the book, I’d be pleased, but Making The Grade provides an innovation not found elsewhere: coin maps! Two maps are provided for each type coin. The first map shows the very highest points of a coin, which is critical in determining depth and perfection of strike. Deisher and Fahey emphasize that knowing what a perfect coin would look like is crucial to determining Mint State grades. The second map deals with marks. No two coins are ever exactly the same, and the most differentiating factor will be bag marks. The term “prime focal areas” has been used in traditional guides, but these guides never seemed to illustrate where those areas were. The color maps leave no doubt and through the use of color, rank the importance of the areas where marks may be. They show, for example, that the cheek on a Morgan Dollar is a worse place for marks than the field directly in front of Liberty’s face, or that marks that fall across the stars are less detrimental than marks that cross the date. The pictures are accompanied by some words of advice from the author about grading that specific series, giving the reader mentoring advice about learning to grade each type. This text could have easily been a basic background on each coin, but Deisher stays on task and keeps the focus on grading. Kudos! The first sentence in this books sums it up beautifully; “The grade of a coin matters.” It matters so much that you cannot determine value without determining the grade. If grading is the horse, then in my analogy, value is the cart, Coin World and Beth Deisher are offering one of the best “horses” that money can buy. 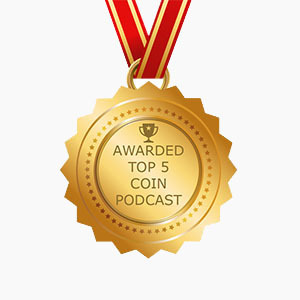 Learning to grade isn’t something only available to frequent coin show attendees, it is within the grasp of anyone with a comfortable chair and some good light. Coin World and Deisher have given numismatists yet another great tool in the pursuit of their hobby. 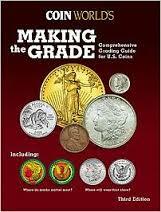 I would urge that everyone have a copy of this book in their own personal numismatic libraries.